* … SAFETY: The latest Consumer Report ratings on auto safety are out, and once again Lexus and Toyota lead the list. But it was not all good news for Toyota. The watchdog agency dropped Toyota's Camry, RAV4 and PriusV from its recommended list because they did not fare so well. 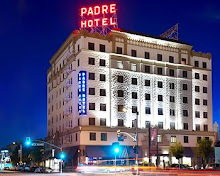 The top five models were the Subaru Forester, Toyota Prius, Lexus ES 300h hybrid, Scion xB and Toyota Prius C. The five worst: Ford C-MAS Energi (plug in hybrid), Ford Escape (1.6 liter EcoBoost engine), Mini Countryman, Ford C-MAS hybrid and Nissan Pathfinder. * … VALADAO: It was an interesting move by Hanford congressman David Valadao to break ranks with his own party and join the Democrats in supporting immigration reform. He becomes the third House Republican to back a bill calling for a path to citizenship. Another Valley Republican, Jeff Denham of Turlock, made the move earlier. 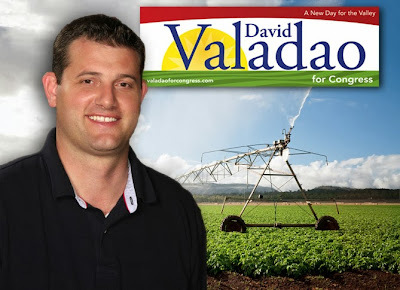 It's hard to argue the logic of Denham and Valadao supporting the bill, given the heavy Hispanic makeup of their districts and the fact that Valley farmers desperately need labor to stay in business. Stay tuned. * … TRASH: I heard again from Sal Moretti, superintendent for the City's Solid Waste Division, who has been following this blog when readers complain about trash. He noted that a large amount of trash near Elm Street and Golden State is scheduled for cleanup this week. "That location is one of six locations Tom Burch and his 'Retiree's Group' cleans up on a schedule every Wednesday. The volunteer group cleaning it up, the 'Retirees Group' would love to have the writer's help cleaning these kinds of hot spots up. 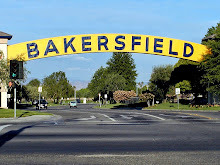 She can check out the Keep Bakersfield Beautiful website calendar to see where Tom Burch and his retiree group clean up every Wednesday and sign up. Your blog suggests different agencies passed the buck when it comes to cleaning up litter. Picking up litter is everyone's job!" Well said, Sal. * … MORE TRASH: Note to Sal: count me as a happy taxpayer today. I called your Solid Waste Division, reported an abandoned red couch in the alley behind my downtown home, and it was picked up within 24 hours. Now that's what I call service. * … SPRINTER: Joan Kerr touched base to say her husband Rob and his old track teammates at Rutgers University are being inducted into the Rutgers Hall of Fame this weekend. "They won a national championship in the Sprint Medley Relay, running against some of the fastest men in the world, including some Olympians. Their record at Rutgers is still standing, and remains the fastest on the school record even when converting feet (which was used at that time) to meters. The other great thing about this story is that Rob and the other three men on the relay team have remained close friends for over 45 years. We are flying to New York on Wednesday to have a reunion with them for this special weekend, and will head down to New Brunswick, NJ on Saturday for the Hall of Fame ceremony and the Rutgers versus Temple football game." 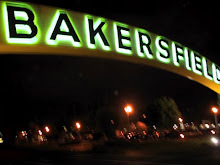 * … ACHIEVER: I am always happy to shed light on some of the young men and women who hail from Bakersfield and have gone on to achieve great success. This note comes from proud mother Irma Orlanzzini: Kudos to Jovanni Garcia (double major in History and French), who was selected as one of the four new student members to serve on the Academic Council on International Programs (ACIP) for academic year 2013-2014 at CSUB. She had to send in an application and compete with students from the other CSU campuses. Garcia spent the last two years in France. She will join Dr. Cliona Murphy who also serves on the ACIP as our faculty representative.